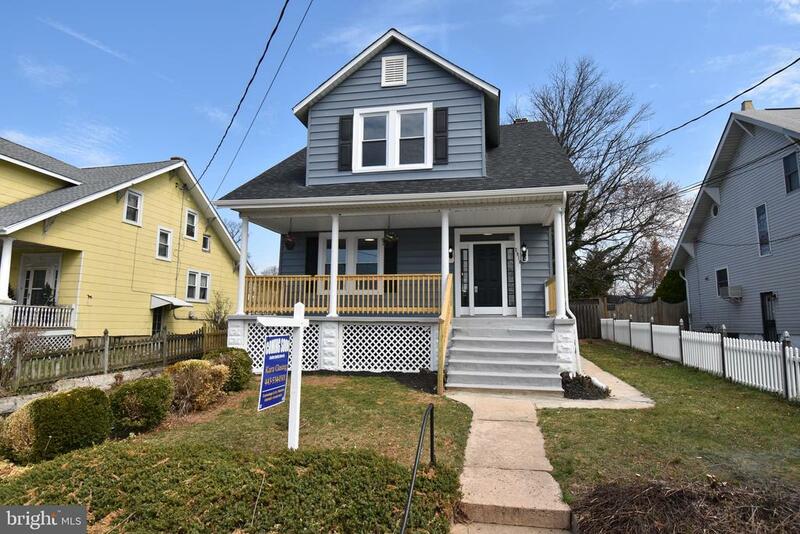 All Parkville homes currently listed for sale in Parkville as of 04/21/2019 are shown below. You can change the search criteria at any time by pressing the 'Change Search' button below. If you have any questions or you would like more information about any Parkville homes for sale or other Parkville real estate, please contact us and one of our knowledgeable Parkville REALTORS® would be pleased to assist you. "Unbelievable opportunity to have your forever home custom built on a beautiful secluded lot overlooking a pond! 5 Bedroom`s, 3 1/2 Bathes, 2 Car Garage, Loaded with upgrades included in list price. Pictures shown are from a property previously built by the builder with very similar upgrades." "BEAUTIFULLY DESIGNED COLONIAL WITH OVER 2,700 SQ. FT. OF LIVING SPACE! Features include an inviting 2 story foyer w/ built-in entry nook, formal living room & separate dining room w/ crown molding, incredible island kitchen w/ ss appliances, & granite counters, separate breakfast area, family room w/ fireplace, Master suite w/ vaulted ceilings, walk-in closet, & spa bath w/ double sinks, soaking tub, & separate shower, 3 additional spacious bedrooms w/ a hall bath, full basement that can be finished for more living space, 2 car garage & driveway parking! 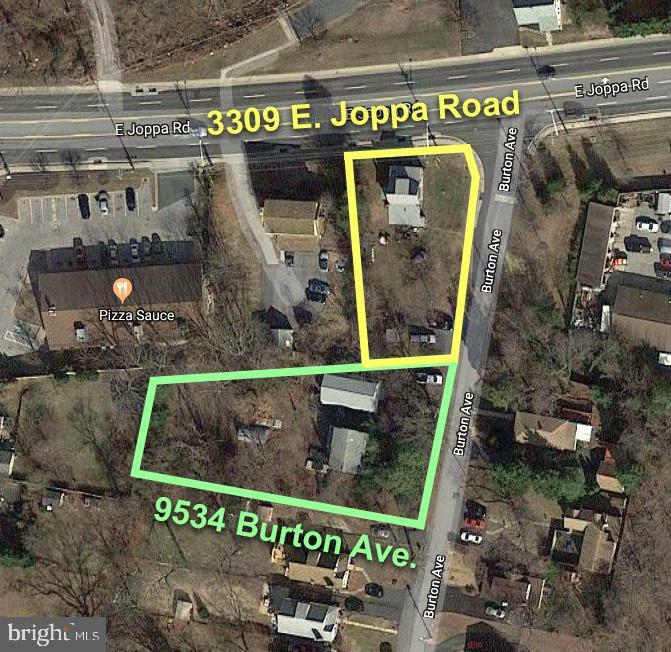 Property backs to woods & is convenient to shopping & major roadways! Click on Virtual Tour to see a 3D tour!" "Gemcraft Home - to be built! Features include: 4 bedrooms, 2 1/2 baths, large kitchen with granite countertops, great room off kitchen, large master suite with deluxe bath and separate shower and so much more! Close to I-695, schools, recreation and shopping. Note: photo's are of a like model and taxes are on land only." "Custom Built Home in 2014 & the Largest Model in the entire community of Magnolia Glen (over 4,200 square feet of space) Luxurious upgrades & high end features throughout! Gleaming hardwood floors, elegant crown molding, 2 story family room with wood burning fireplace. In the kitchen you'll find stainless steel appliances, granite countertops, breakfast bar that can seat 4, plus an eat-in area. Formal dining room large enough for a 10 person dinner party. Laundry on the 2nd floor (bedroom level). Luxurious Master bedroom with walk-in closet & private master bath with double sinks & make-up vanity area, large soaking tub & separate shower. Entertain out back on the maintenance free Trex deck with walk-down stairs to the level backyard overlooking privacy & trees." "Gemcraft Homes to be built home on over an acre in Baltimore County. Featuring 4 bedrooms, 2 1/2 baths, 2 car garage, large kitchen with 42cabinets and granite counter-tops, large master suite with deluxe bath and much more! Close to beltway, recreation and shopping. Base price of elevation A. Taxes are estimated and photos are of a like model." "Beautifully landscaped, this pristine home built in 2012 shows like a model. Wood flooring graces the living room, dining room, kitchen and family room. This kitchen is sure to make meal prep easy. Highlights include 42 inch upgraded espresso stained shaker style maple cabinetry with slide out shelving, granite counters and island, pantry, gas cooking, convection oven, convection microwave, stainless steel appliances and an eat-in table space. Relax at the end of a long day in the master bath jetted soaking tub. Equally impressive is the crown molding in every room on the main and upper levels. Unfinished basement offers walk out sliding glass door, windows and rough in for additional bath.This house offers the whole package both inside and out! No HOA fee or front foot fees." "New Construction Community! Delivery Fall 2019! 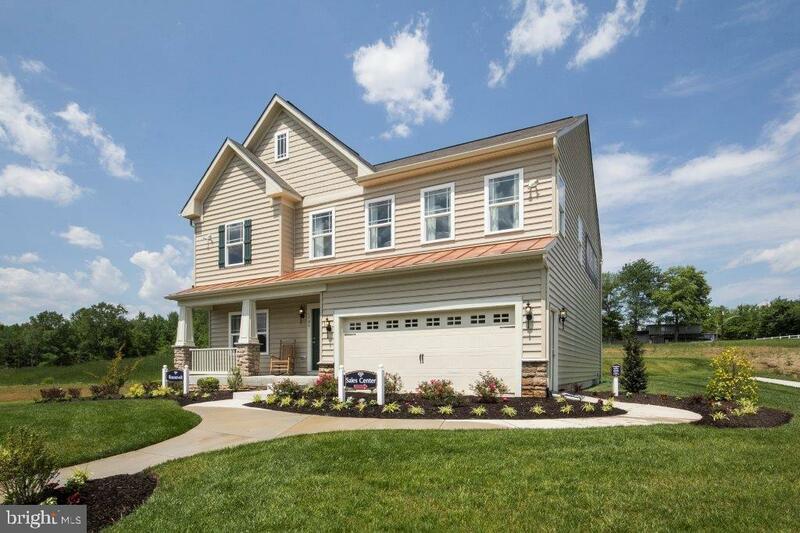 COUNTRY LIVING MEETS COMMUTER CONVENIENCE The Village at Gunpowder Falls is a perfect mix of country living and commuter convenience. 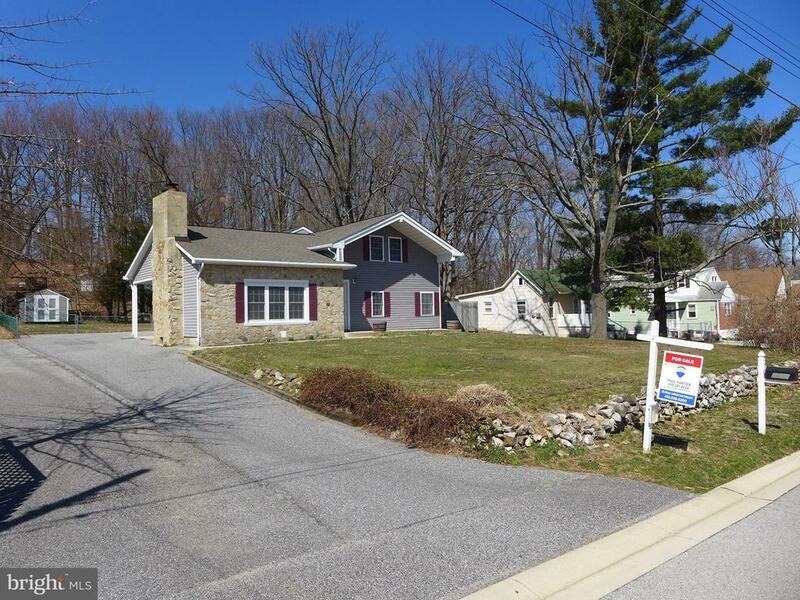 Minutes away from Baltimore County's rolling farmland! Enjoy the expansive living space of our contemporary open floor plans. 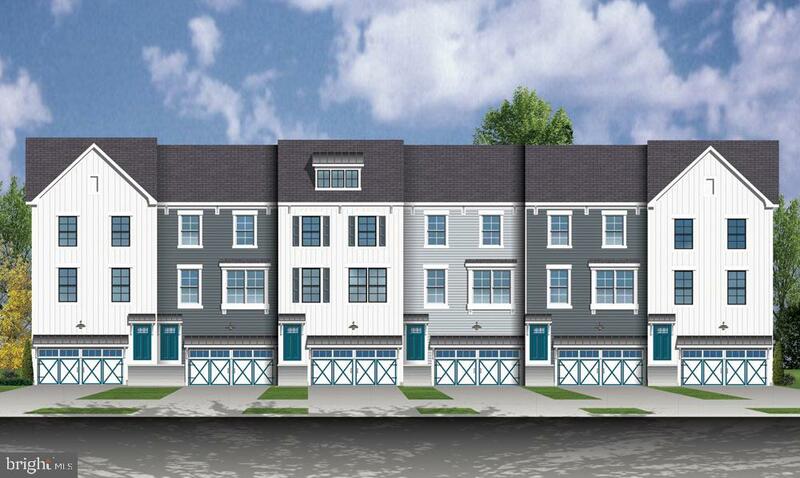 The townhomes feature 3 finished levels with optional 4th floor, rooftop decks, choice of up to 5 bedrooms, plus a 1 or 2 car garage. Both garage options are front loading which provides backyard space no matter which model you choose. 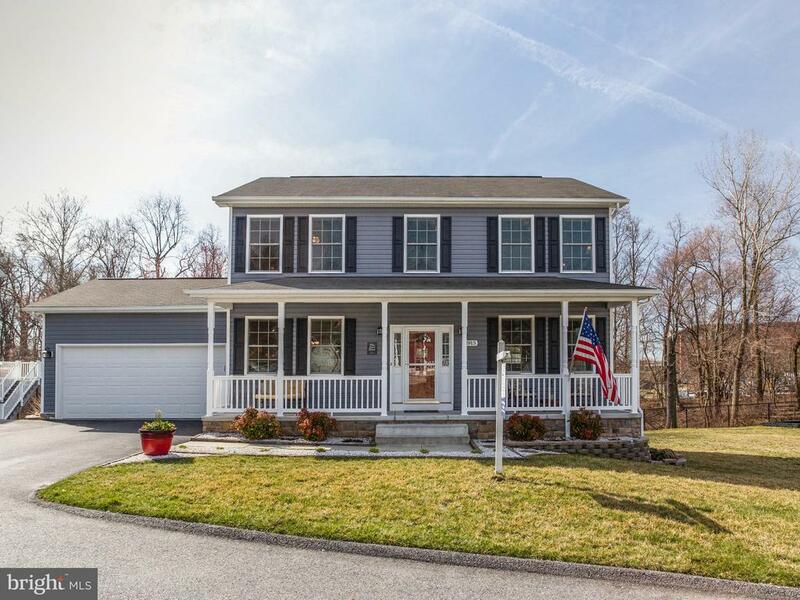 Located on the, cusp of Glen Arm, where Cub Hill Road meets Harford Road, you are only minutes away from I-695 and state parks. 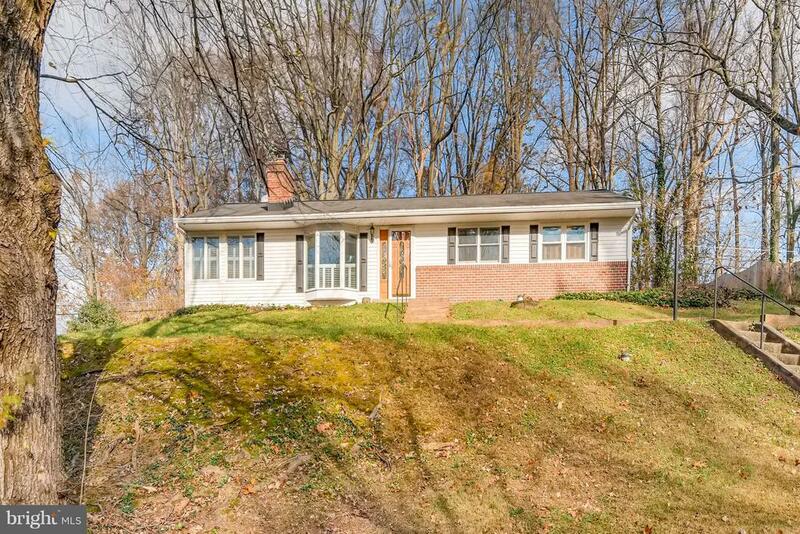 Conveniently located by Gunpowder Falls State Park and Loch Raven Reservoir. This ocommunity backs up directly to the Graham Equestrian Center which sits on approximately 20 acres of pasture and backs to miles of trails to hike and ride. In addition, the community is conveniently located near major retail shopping centers and both private and public schools." "New Construction Community! Delivery Mid 2019! 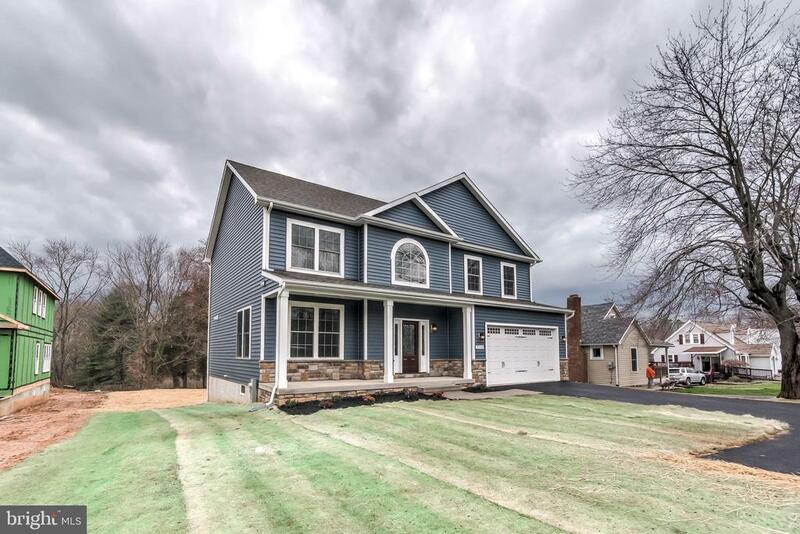 COUNTRY LIVING MEETS COMMUTER CONVENIENCE The Village at Gunpowder Falls is a perfect mix of country living and commuter convenience. 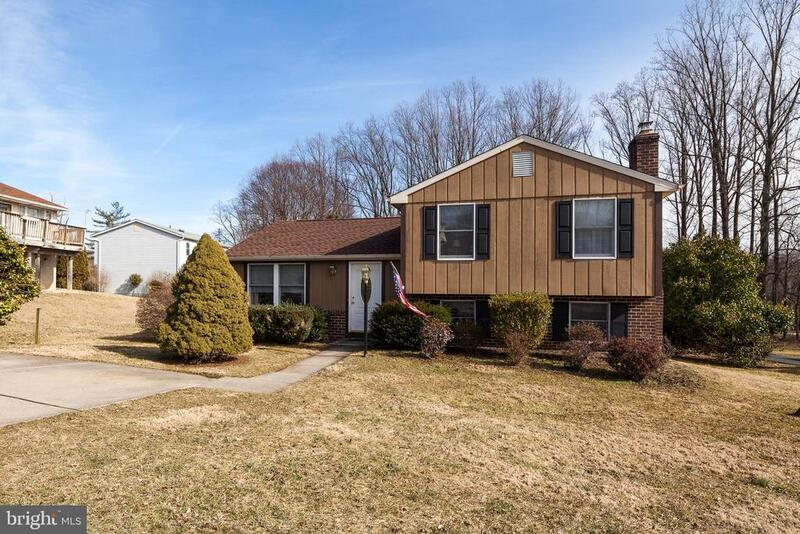 Minutes away from Baltimore County's rolling farmland! Enjoy the expansive living space of our contemporary open floor plans. 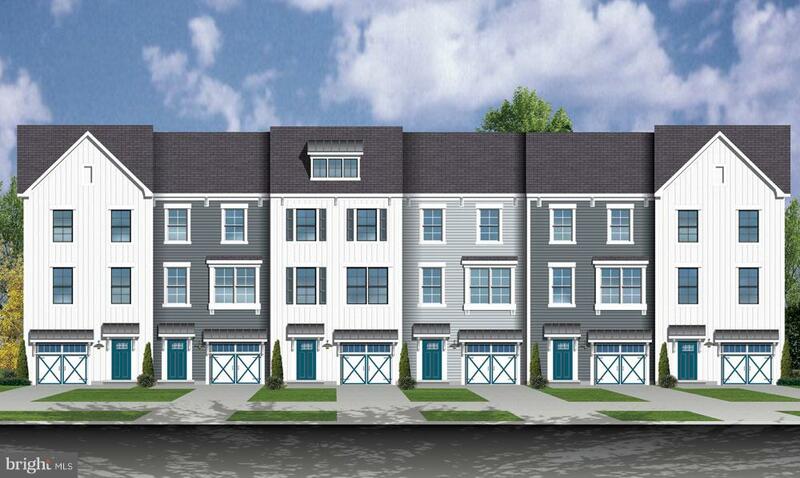 The townhomes feature 3 finished levels with optional 4th floor, rooftop decks, choice of up to 5 bedrooms, plus a 1 or 2 car garage. Both garage options are front loading which provides backyard space no matter which model you choose. 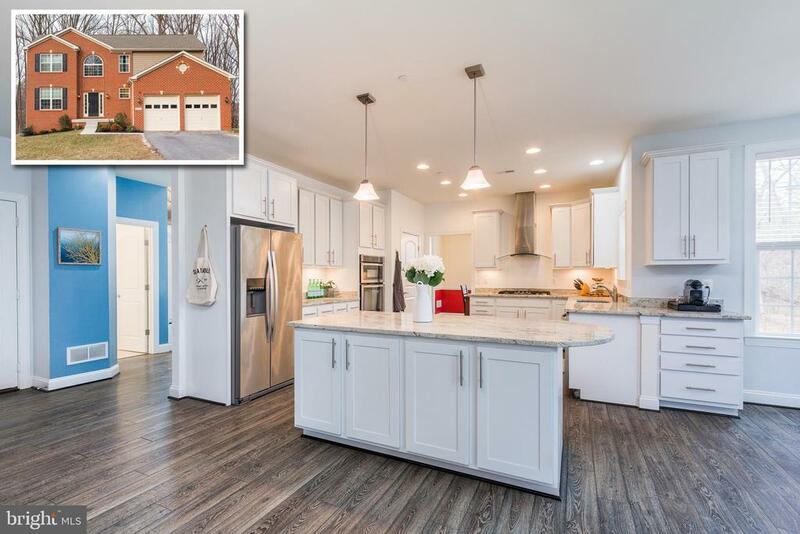 Located on the, cusp of Glen Arm, where Cub Hill Road meets Harford Road, you are only minutes away from I-695 and state parks. Conveniently located by Gunpowder Falls State Park and Loch Raven Reservoir. This ocommunity backs up directly to the Graham Equestrian Center which sits on approximately 20 acres of pasture and backs to miles of trails to hike and ride. In addition, the community is conveniently located near major retail shopping centers and both private and public schools. Currently zoned for Pine Grove Elementary, Perry Hall Middle School and Perry Hall High School." "Welcome to a charming and delightful home, this 5BR/3BA Bungalow is move-in ready and waiting for you! Features: Hardwood Floors thru Main Level, updated kitchen w/granite counters & tiled back splash, fully finished basement w/extra kitchen, a full bathroom in on each level & too much more to list here. 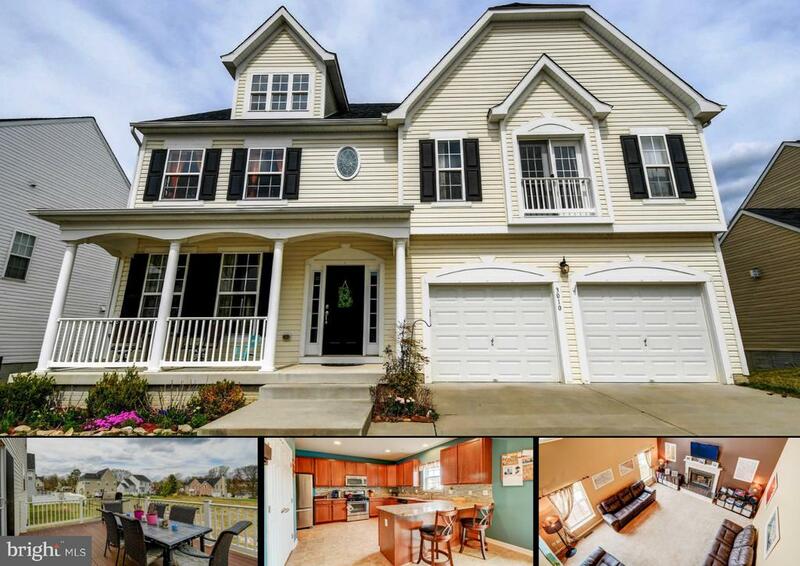 The house is conveniently located minutes from 695 and 95, shopping, restaurants and schools. See it before it's sold!" "What a great location to be! East Towson, side of Parkville and near the Loch Raven Reservoir Falls!Enjoy comfortable and relaxing living in this 4 bedroom and 3 bathroom detached home that features spacious rooms, the convenience of a chair lift, hardwood floors throughout with abundance of natural light and a large yard with detached garage and a concrete driveway for additional off-street parking! BBQ in the back deck, relax in the jacuzzi and host your friends to many gatherings. The rear view of the home resemble of a tree house!" 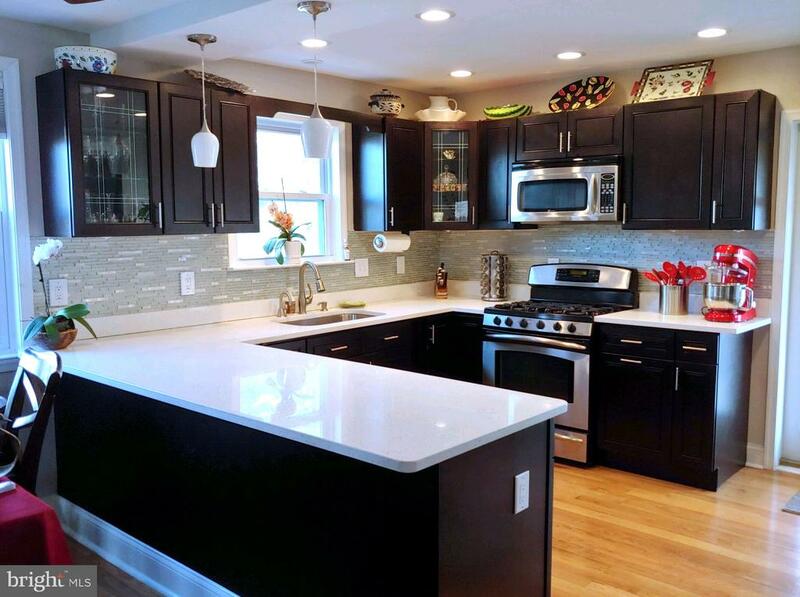 "OUTSTANDING TOP TO BOTTOM RENOVATION IN PARKVILLE. NO DETAIL LEFT OUT FROM CROWN MOLDINGS AND 7 BASE MOLDINGS, TO DESIGNER LIGHTING AND CUSTOM TILE. ONE LUCKY BUYER WILL ENJOY THIS GORGEOUS KITCHEN MADE FOR ENTERTAINING, BOASTING QUARTZ COUNTERTOPS, WHITE & GRAY SHAKER CABINETRY WITH SOFT CLOSE DRAWERS, OILED BRONZE PULLS, AND BLACK STAINLESS STEEL APPLIANCES (INCLUDING GAS 5-BURNER RANGE!). REFINISHED HARDWOOD FLOORS ON MAIN LEVEL WITH AWESOME FOYER, SEPARATE LIVING ROOM, DINING ROOM FEATURING STYLISH WAINSCOTING, POWDER ROOM & MUD ROOM AREA. 3 SPACIOUS BEDROOMS ON UPPER LEVEL WITH 2 REMODELED FULL BATHS EACH WITH TUB/SHOWER, CUSTOM TILE, AND MODERN VANITIES W/QUARTZ COUNTERTOPS AND SOFT CLOSE DRAWERS. LOWER LEVEL PROVIDES AN INDUSTRIAL STYLE FAMILY ROOM PERFECT FOR GAME NIGHTS PLUS AN UNFINISHED AREA PROVIDING EXCELLENT STORAGE SPACE. HOME HAS BRAND NEW LIFETIME ROOF, REPLACEMENT WINDOWS, GAS FURNACE & HOT WATER HEATER. 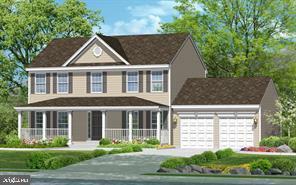 SIT AND WATCH THE NEIGHBORS GO BY ON THE LARGE FRONT PORCH OR RELAX IN PRIVACY ON THE BACK PORCH. THIS IS A DREAM HOME THAT WON'T LAST LONG!" "PRICE REDUCED!! 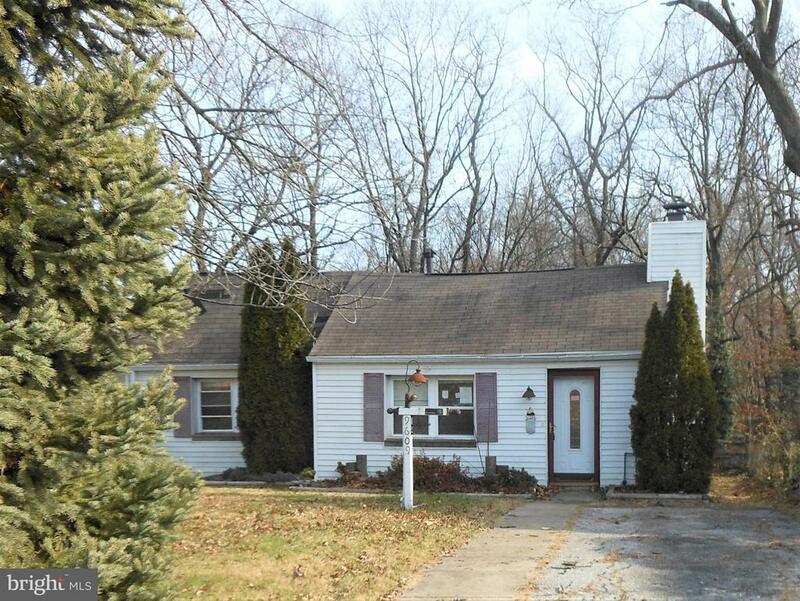 Lovely 3 bedroom, 2 and half bath split level in Village of Nearbrook. Enjoy the open feel of this home on the main level with cathedral ceilings when you walk in. Lots of natural light throughout. Sit in front of your fireplace with the heatilator on in the lower level with friends and family. Maintenance free 12 x 20 deck leading to a flat yard. Windows and roof have been updated. 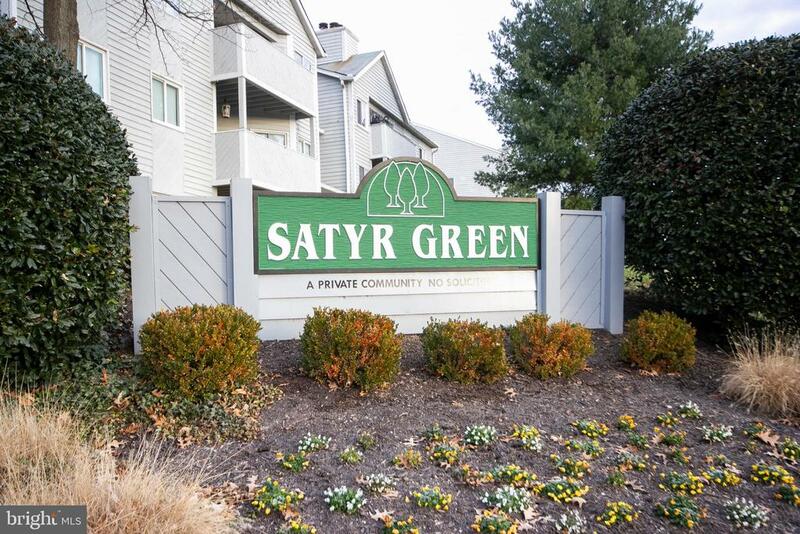 Convenient to restaurants, shopping and 695." "One level living and room to expand. Master Bath w/dressing area, Huge Dining room, Separate laundry room. Office/Den w/separate entrance. Great Room 20' X 18' with Fireplace, Kitchen updated stainless/black appliances, 75' x 175' level lot. Fenced Rear yard, Storage Shed, Covered side porch. Close to Towson, Goucher, GBMC, shopping and Beltway. 25 x 56 floored Attic endless potential." "You will fall in love with this home! NEW Cordless blinds and Paint throughout! Improved basement has waterproofing, full bath (NEW shower surround), NEW Water Heater, NEW Furnace, NEW Condenser. Rear Exit. Full, tall basement can be easily finished. Main Floor has NEW carpet, separate Dining Room, and Kitchen. 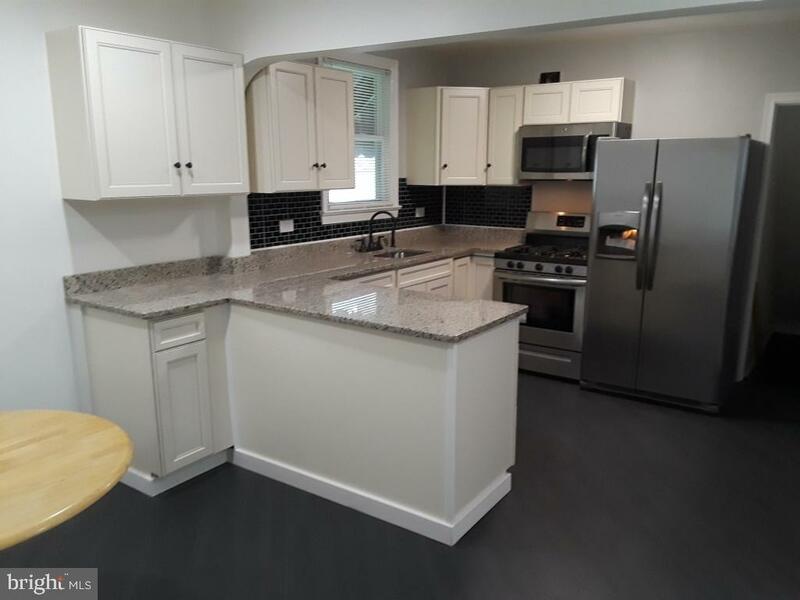 Kitchen Features NEW SS Appliance Package (Gas Stove), NEW Floors, NEW Cabinets, and NEW Quartz Countertop. Rear Exit to small Mudroom, and Deck. Two Bedrooms (4 total) with NEW Ceiling Fans and NEW Cordless Blinds. Updated Full Bath (2 total) on the Main has NEW Tub Surround, NEW Light Fixture, NEW Floors and NEW Vanity. Second Floor Features 2 VERY nice sized SEPARATE Bedrooms (4 total) with ample Closets and Storage. Rear Yard has plenty of room, a very large Shed, and the off street PARKING is AMAZING! Make this house your home!" "Great School District! Beautiful Curb Appeal. Must see! Newly renovated 4 bedroom home with 2 new bathrooms features all new plumbing, new electrical, new kitchen, all new appliances, refinished hardwood floors, new vinyl windows, new carpeting, freshly painted, new hot water tank, new washer & dryer, new storage shed, new driveway, Front porch and Freshly sodded yard. Area: Baltimore County, Villa Cresta Elementary School." 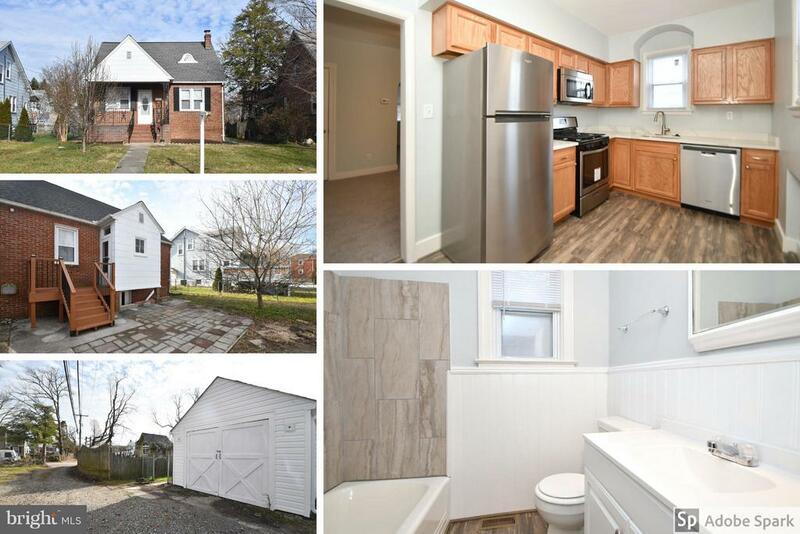 "WONDERFUL STARTER HOME WITH SO MUCH CHARM - COME SEE THIS ALL BRICK CAPE COD! COMPLETELY UPDATED AND READY FOR YOU! 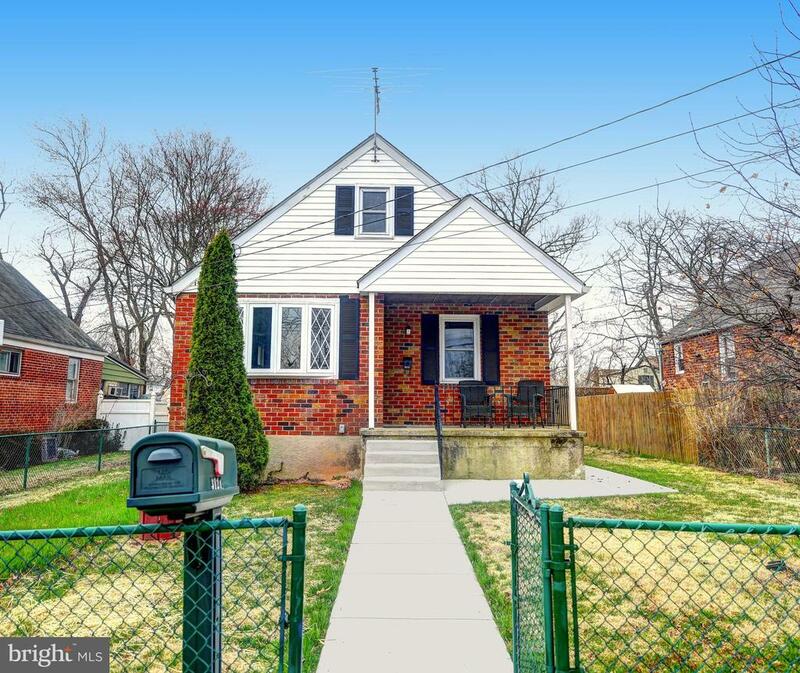 NOT OFTEN YOU CAN GET AN ALL BRICK HOME IN THIS NEIGHBORHOOD. YOU WILL BE AMAZED BY THE NEW FLOORS, COMPLETELY UPDATED BATH W/STORAGE, NEW VANITY, NEW FLOORS, GLAZED TUB WITH SUBWAY TILE, BEDROOMS ARE COMPLETELY READY WITH NEW STAINED HARDWOOD FLOORS, NEW CEILING FANS, MASTER BEDROOM HAS NEW CARPET AND WALK IN CLOSET - WITH ROUGH IN FOR A FULL BATH UPSTAIRS- ALL NEW DOORS THROUGH OUT, UPDATED KITCHEN, NEW WINDOWS, NEW ROOF, NEW SIDEWALK, NEW BILCO DOORS, BASEMENT WATERPROOFED WITH FULL LIFE TI ME WARRANTY READY FOR YOU TO ADD YOUR TOUCHES, THE YARD IS COMPLETELY FENCED IN. THIS HOME IS A MUST SEE!!!!" "NEW PRICE !! !Great Brick front townhome 3 bedroom 2.5 bathrooms with a first floor laundry room. Huge walk out deck area for out door dining leads to a large yard with a tool shed. A fully finished lower level family/rec room . Roof is four years old. 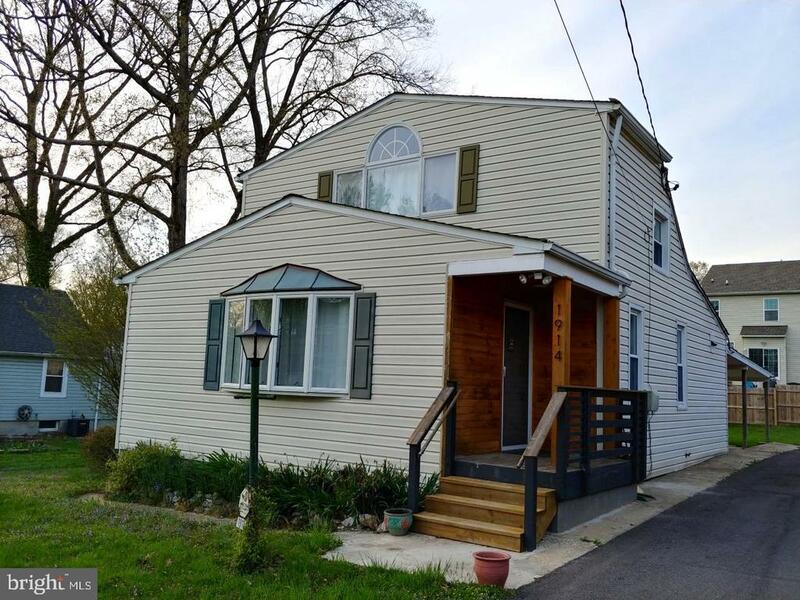 this home has been very well maintained and is freshly painted and updated. Don't miss seeing this Home." "Remodeled home with 1st fl. bedrooms and full bath. Master Suite on 2nd fl. 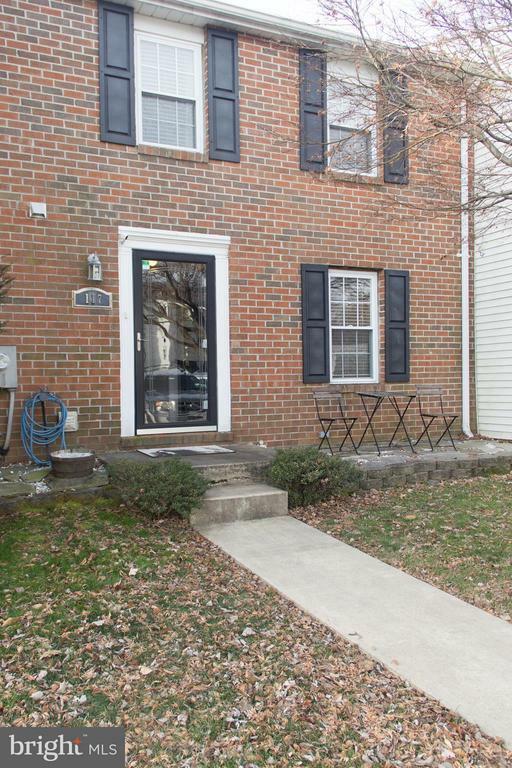 Conveniently located close to 695, shopping, restaurants, schools and to local park! Remodeled kitchen with granite counters. New appliances, new wood flooring, new fixtures, and new deck. Bonus room for breakfast nook or home office. Off-street parking on newly paved driveway. Level yard has a storage shed. Move in ready!" "Amazing opportunity to own this 3 Bedrooms and 2 Bathrooms Cape cod style home! 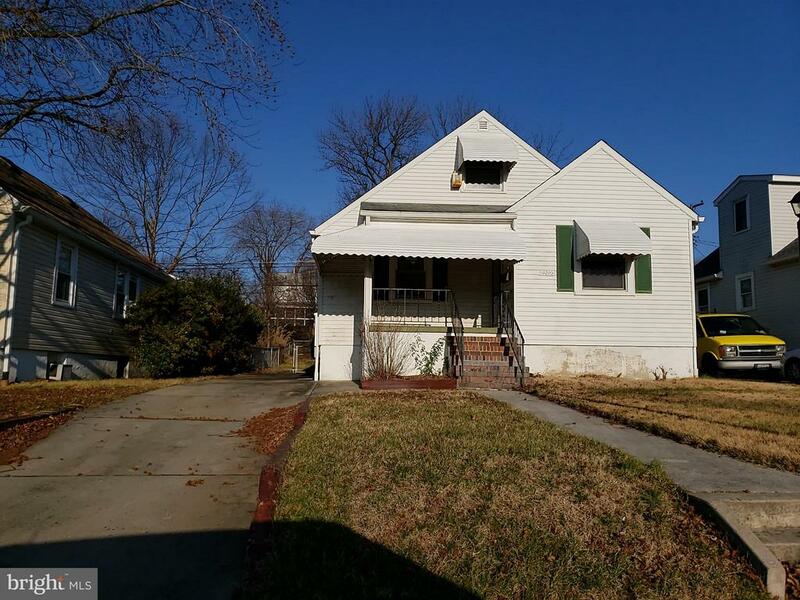 It has finished basement, front porch, large fenced back yard with shed and more!" 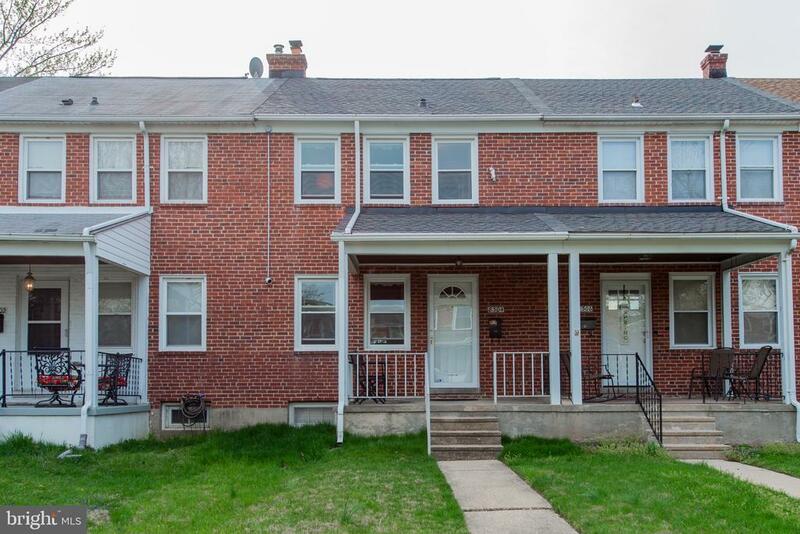 "Well maintained 3 bedroom 1.5 bath rowhome in a great location! Seller already put on a brand new roof and purchased a 1 year home warranty! Windows were replaced in 2012! Why rent when you can own your own home! Lovely covered front porch, great backyard wide open for kids to play or to have cookouts with friends!Welcome Home!" "Charming Rancher in close to 1/2 acre, large living room with fireplace, kitchen and dining combo. 2 bedrooms and 1 full bathroom. Sold As-Is." "Just in time for the Spring market...Price reduced!!! Live close to everything! Nicely updated turn key Condo in Central location with perfect open floor plan. Unique Condo with a Wood burning Fireplace in the Living Room! 2 Spacious Bedrooms, 2 Full Baths( one in Master Bedroom). New Kitchen floor, Freshly Painted & new carpet throughout. The Open Dining & Living Room area also has patio access via a Sliding Glass door for additional outdoor living. The Kitchen has (in addition to a new floor!) updated appliances, room for a table and a pass through breakfast bar... perfect to see the Fireplace while cooking! It is convenient to 695, Restaurants, Grocery Stores & Webers Farm! There is also a secured entrance to this Building and an Assigned parking space right out front. Turn key and ready to move in! Don't miss out! Exterior of Building currently being scraped and painted"
"REAL ESTATE AUCTION ON SITE THURSDAY, APRIL 25, 2019 AT 2:00 PM. List price is suggested opening bid only. $5,000 cashier's check deposit required to bid. Also being auctioned - 9534 Burton Ave. Please contact listing broker's office for full terms, bidder pre-registration and property details."